Rodeo ready, the Davie is an 11-inch tall men's Let's Rodeo® Collection cowboy boot that has a modern edge. 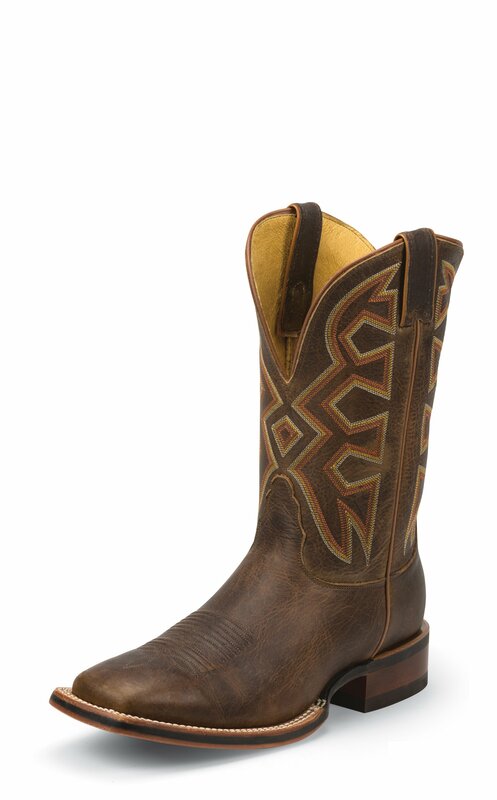 Its chocolate brown leather upper is slightly distressed and is accented by a rust-toned geometric stitch pattern giving this boot a vintage feel. The stonewashed brown foot sports a square toe and features functional details such as an innovative combination outsole that provides slip resistance yet doesn't compromise the stirrup grip. Its built for comfort with a steel shank for added support and cushioned insole for impact absorption. This style is proudly Made in the USA with global parts.